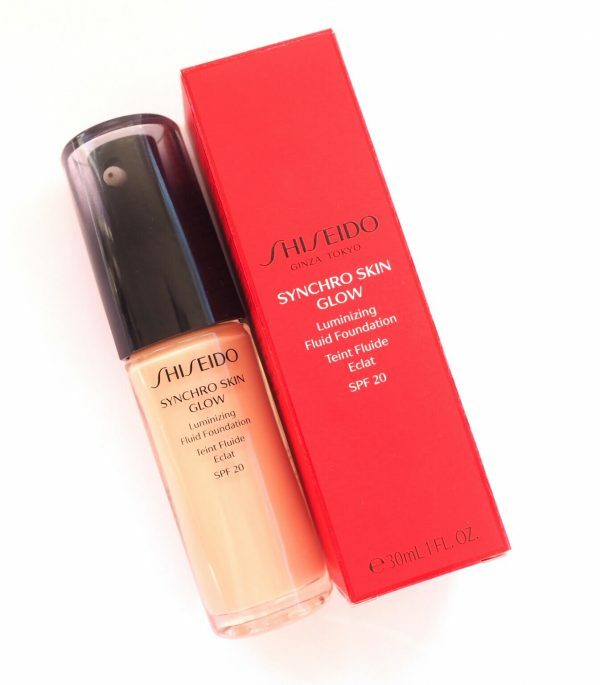 Shiseido Synchro Glow Foundation is another new launch that’s pretty spectacular. 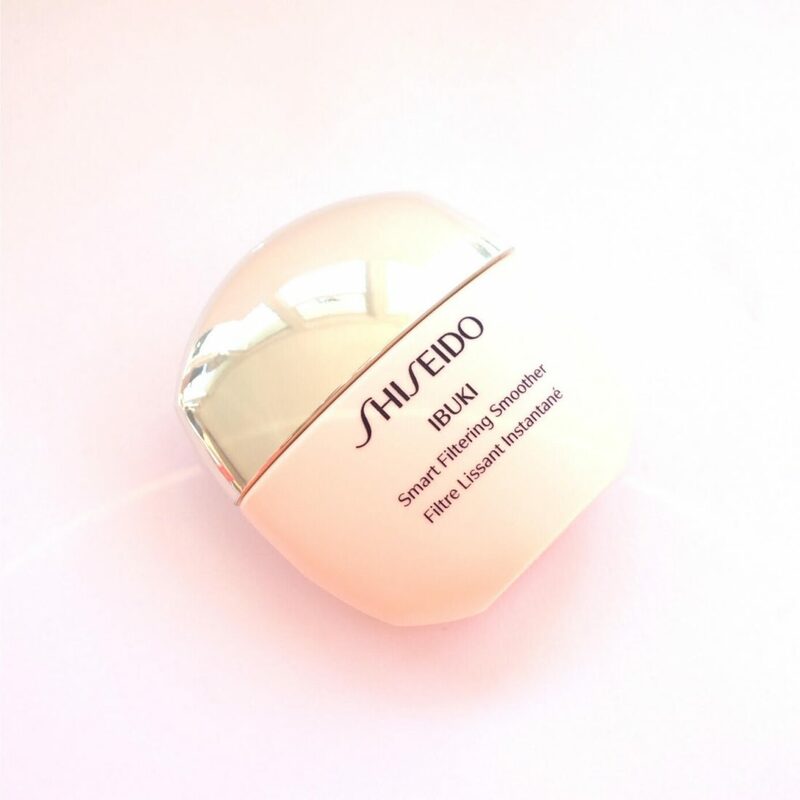 Like By Terry, Shiseido seems bullet proof when it comes to popularity – I very rarely ever hear a single complaint about it. Maybe because it’s priced so high that purchases are more considered; there is certainly a huge consumer loyalty aspect to the range. This is described as a ‘luminizing’ fluid foundation and I think is good value at £34 – I was surprised not to see it at £50+. My absolute preference for older skin is foundations with fluidity that fit your skin well and move naturally with expressions. Dryer foundations can seep into creases and also just feel too powdery for comfort. 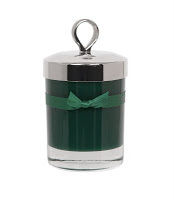 This one, in terms of comfort is ridiculously lovely – I can barely feel it on my skin. 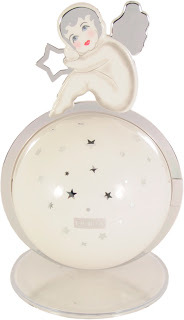 In terms of look, it certainly catches the light so it’s a yes on radiance that looks natural (no unicorns on this!). Plus, it doesn’t rely on glitter – imagine a radiance primer built into a foundation and you’re about there. 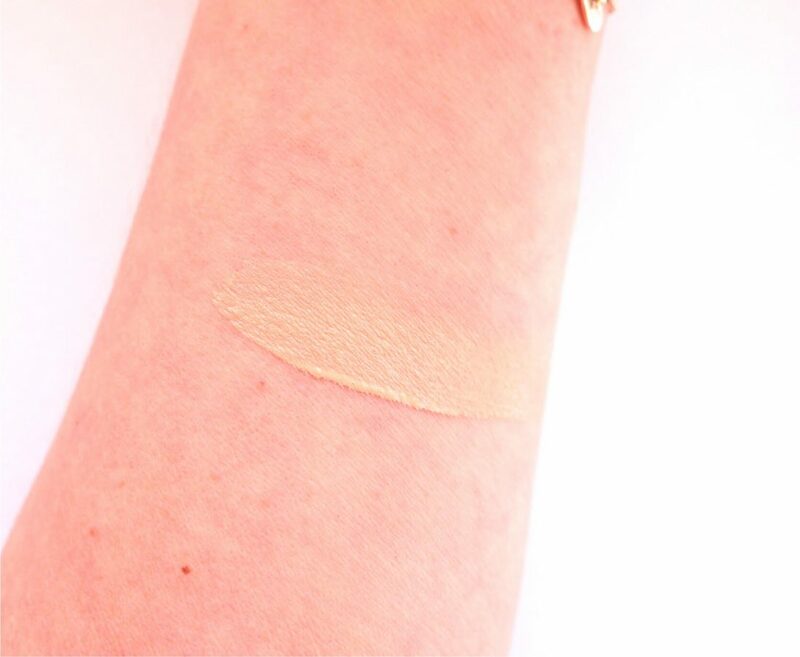 I’ve put a dab of shade Neutral on my arm for you to see – it’s slightly light for my tone and doesn’t really give the full impact. It’s a buildable cover so looks very natural, like a bb tint to start with, but another layer gives a more ‘finished’ look. You need to shake before use – don’t forget. As you’d imagine, there are plenty of skin care ingredients incorporated, such as Argan Oil, Cranberry Seed Oil and Yuzu Seed Extract. 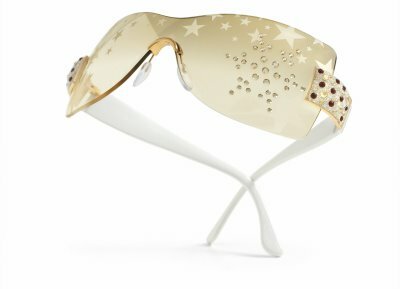 It launches on Escentual.com on 30th March for £34. So, this little fellow! A very tiny 20ml of blur liquid. I’m not much of a fan of blurs to be honest, particularly on older skin. It has a habit while you’re not looking of bunching in your pores and it’s only when you look in the magnifying mirror of doom that you know it’s happened. This product did an excellent job of mimizing pores, but whatever you do, don’t rub – just pat or tap. If you rub, it turns into a gluey kind of thing when it combines with foundation that’s just not pretty. Of it’s type, it’s definitely at the top, but I still needed to try it three times to get it perfect. It’s £20 launching on March 2nd, also at Escentual. Hi Jayne, What is the coverage like on this foundation? It’s medium to light, I’d say, but you can build it to a certain degree. I haven’t tried this brand since it’s on the pricier side, but I would really love to try out this foundation. It sounds great! I have last year’s Synchro Skin Lasting Foundation and I have been wearing this Synchro Skin Glow for a week (I got a sample in Japan). The main difference: Synchro Skin Lasting is matte and gives medium-to-full coverage whereas this product is more glowy and provides sheer to medium coverage. If you have oily to combination skin, I recommend Synchro Skin Lasting. If you have dry skin, I recommend Synchro Skin Glow. If you have normal skin, you can use either; it will depend on whether you want full or sheer/medium coverage. I like both products. I plan to use Glow in the summer when my skin gets a bit oilier in the T-zone. 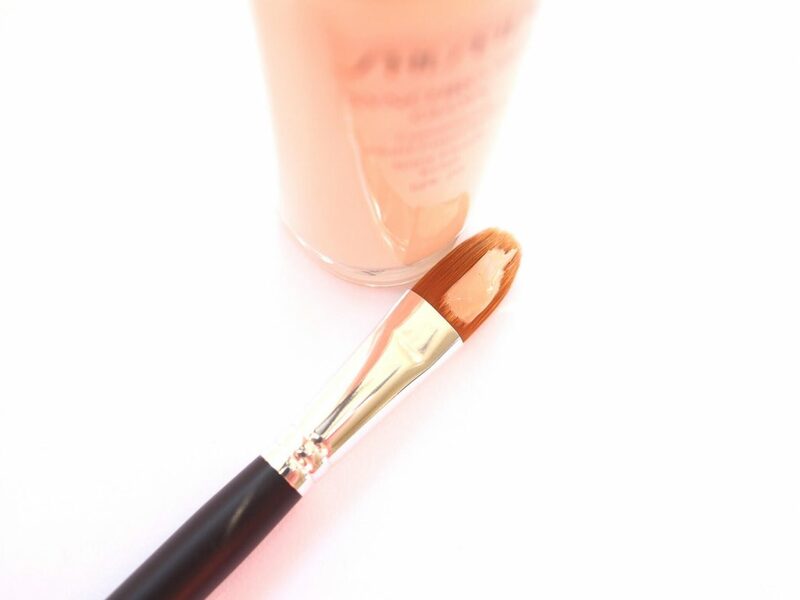 Application: I have used the Shiseido foundation brush, Bobbi Brown full coverage face brush and fingers. 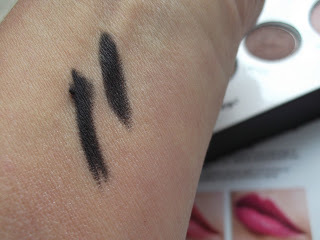 By far the best way to apply either foundation is with your fingers. You get a smoother, more even application. I never use primer because I don’t find a primer necessary with these foundations. Both cover the large pores on my nose without sinking in and without making them more obvious. They do not accentuate fine lines. Downside to both foundations: the bottle is quite heavy, so not very travel-friendly. Additional comment about shade range: Unlike Western cosmetics brands, Shiseido has a limited range of shades of foundation especially for dark skin. I am Asian and I wear Neutral 4 in the Synchro Skin range. The darkest shade in the Neutral category is 5. Imagine that! In Japan, they carry only about 6 shades, the darkest of which is Golden 4 (G4) which is a tad too light for me, but I can still wear it. So if you plan to visit Japan and go to the Shiseido flagship store in Ginza, do not think you can find the entire shade range there. You are better off buying Shiseido foundation outside Japan, notably in the US and in some southeast Asian countries like Singapore and the Philippines.